Enjoy the row of windows and wood burning fireplace. Big windows bring the outdoors in. Modern kitchen with all the amenities and ample dining space for all the friends and family. Master Bedroom on upper level with Flat Screen TV and Private Full Bath with Walk In Shower. The upper level also features a seperate loft area with twin size futon and desk space. Enjoy stunning lake views from this window lined waterfront home. Breathtaking scenery from every angle provides the backdrop for your next mountain vacation. This lakeside log cabin set amid trees and flowering shrubs is the nature lovers'' delight. Enjoy the lake views from the open sun deck fully equipped with outdoor furnishings. Scenic Railroad Grade Rd. 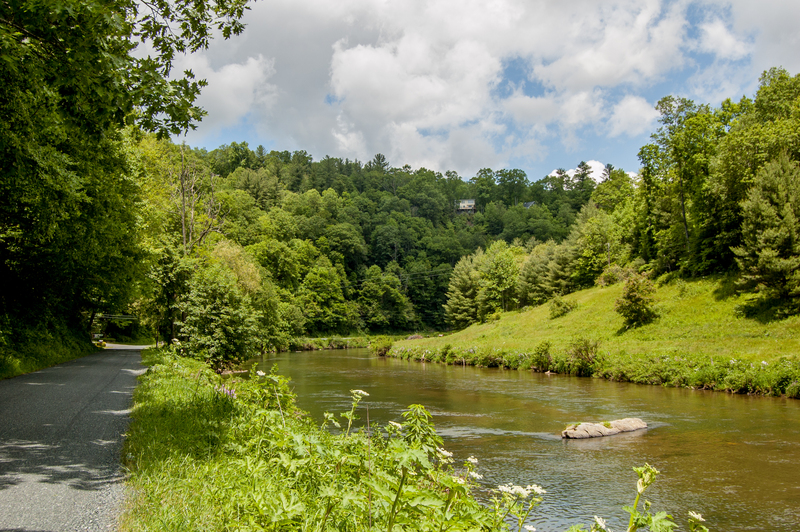 10 Mile Stretch Along the New River, perfect for a leisure walk or bicycling. Common Area Along the New River. Gazebo Area with Charcoal Grill and Picnic Table. This naturally inspired log home is full of character and charm. On the main level enjoy the space saving kitchen designed for comfort and ample dining space for all the family and friends. 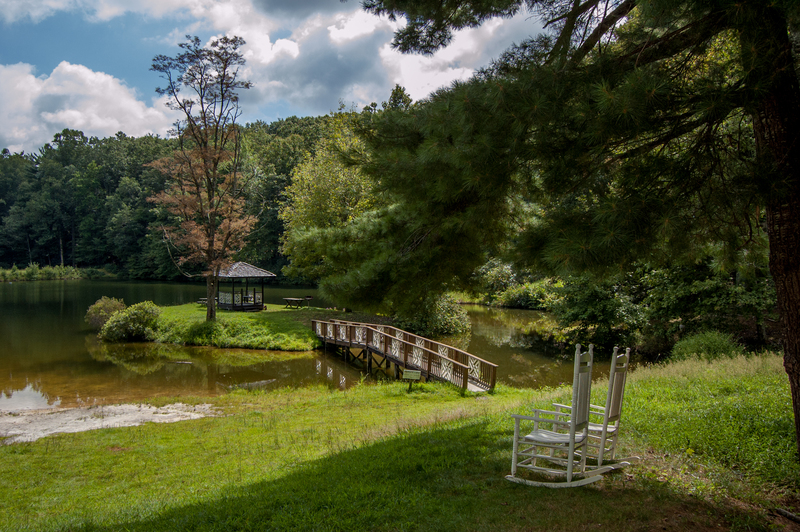 Get magnificent lake views from the living room featuring a wall of windows and glass doors that open to lots of decking and porches where you can relax and enjoy the unspoiled natural setting. In the evening curl up before the warm wood burning fireplace, this is the kind of place where you can slow down and feel free. This level also features a spacious bedroom with three twin size beds and a separate full bath. On the second story you'll find the master bedroom with king size bed for leisurely comfort and a private full bath. There is also a separate loft area with twin futon, TV with programming and desk space. Breathtaking natural beauty indoors and out in this rustic log cabin perched along the lake, just right for a weekend getaway. If you ideal vacation includes outdoor adventure, scenic beauty and relaxation then "Allendale" is for you. 20 miles to Boone, 10 miles to West Jefferson and 10 miles to Todd. "Quiet area. Icy days you will need a four wheel drive vehicle. Very narrow roads. Cute pond. Lots of area to walk. Cabin is cozy. Needs some updates and maintenance. Love our stay." "Great experience. Property Manager was very nice and helpful. We did have a small issue when we were there and they fixed it immediately. I would definitely recommend this cabin for anyone. It is very nice, clean and close by to lots of attractions." "We had a great time. Loved the location. It was very clean. Please share that with the person that you have hired to clean. The kitchen was well supplied. Very cozy place. Loved the view." "Allendale was great for our family of 4! We could walk to the lake to go fishing and there was a fire pit in the back yard. Very cozy stay and very clean! This was our first vrbo experience and we will definitely do it again!" Thank you for the wonderful review. Please remember to book direct at Stay Blue Ridge for repeat guest specials throughout the year. comfortably with its modern conveniences. Loved it." "We loved the Allendale Log Cabin and it is exactly what I think a cabin should look like when I want to go to the Mountains. Gorgeous views from the private deck of the lake. It is one of my favorite place will rent again, and again." "This was our family's first mountain getaway. The cabin was very clean and spacious. Great view and fishing. We will definitely stay here again!" 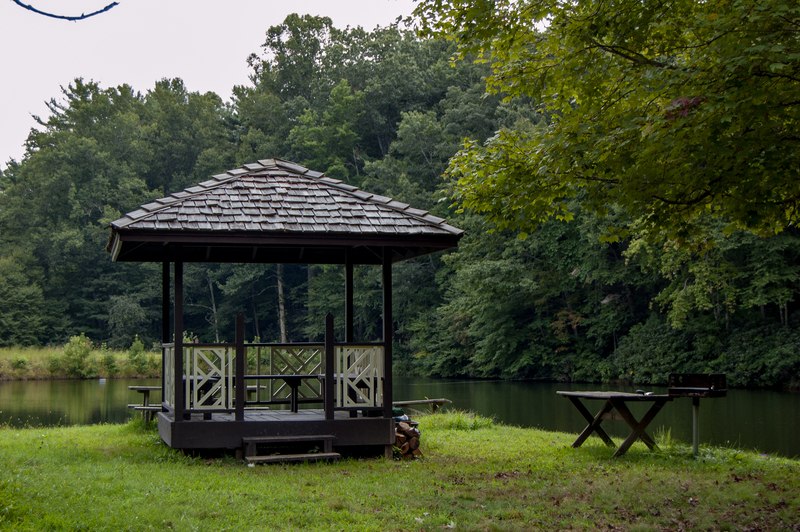 "The Allendale cabin is beautifully situated next to a mountain pond. It was clean and very comfortable. My family & I enjoyed two home-cooked meals prepared in the well-equipped kitchen. Our only issues were 1) the fact that it was advertised as a 3-bedroom cabin. It's not; there are two bedrooms and aloft-like space outside of the master bedroom. And 2) the master bedroom has a glass door and a partial glass wall. Zero privacy for Mom & Dad - especially with the loft-like space just outside the bedroom. " "The cabin was well kept and in great condition. The cabin was very clean. This property is so relaxing. We had a great time and cannot wait to go back. The only thing that needs attention is many of the light bulbs in the lamps and other areas didn't work. Outside of that it was great. The pond was great to have also. Overall an outstanding experience. " "We loved the location and the log cabin. Very quiet and serene. A few items need attention; The kitchen sink faucet leaks, the toaster does not work, the light over the dining table must have an electrical short (it would randomly come on), did not like that we had to haul off our trash." "We spent a 3 day weekend in the cabin. I brought my own sheets and towels. I always do. Cabin needs a good deep clean. Furniture in den area could use a good steam cleaning. We enjoyed being on the lake and fishing. Check in was easy and book in cabin had instructions for check out . We would stay again in this cabin." "My wife and I went with our dog to relax and recharge. Dog loved the pond and areas to run around outside. While it was a nice place to stay, 2 things would have made it better... master bed needs replacing. So soft, back pain caused not enough sleep. The plants in front of the deck facing the pond... it is above the railing, you cannot enjoy the views of the trees & pond from most of the deck while relaxing in the Adirondack chairs. Trimming them down would take advantage of the views. These are easily fixable things that will enhance the experience." "Very Good. Cabin was clean and warm when we arrived." "Everything was great from start to finish. There was plenty of free firewood available on the porch to use in the fireplace in the living room. Everything was clean and the upstairs king bed was extremely comfortable. They have wifi and dish so we could watch the Halloween movies by the fire at night.The island pond was beautiful and you could see thr trout swimming around. It was so beautiful that I proposed to my now fiance on the island with that beautiful view. High recommend this place to anybody"
"Our family loved our stay. The cabin is amazing and the staff super helpful." "We decided to get away for the weekend with the children and dogs and this place was perfect! The cabin was very clean, fully equip with all dishes and cooking supplies and wasn't far from home. Our children loved going down to the lake to fish and catch tadpoles and the dogs were able to run free and swim in the lake while we could kick back and relax. We were also able to build a campfire with wood that was already available to us on the deck. This was the perfect getaway and we will be staying there again! " "Enjoyed every minute and the scenery wish I could have stayed longer. the cabin was beautiful"
"Jan.thru Mar. was peaceful and quiet. Great location." "Great short trip to mountains to visit son in college and go to ASU football game. Cabin was perfect and met all our needs. We enjoyed the wood burning fireplace both nights we were there." Thank you for your response. We are glad that you enjoyed your short trip to the mountains. Thank you for staying with us! "The cabin is very pretty and tucked privately away on the lot overlooking a lovely pond. We really enjoyed our stay. The only thing that would have worked better because of my husband's "bad knee" would be to have the master bedroom on the 1st floor. However, it was a great cabin and has an awesome fireplace." Thank you for your response. We are happy that you enjoyed your stay. Thank you for staying with us and we hope to see you soon! "This is a beautiful cabin. Very peaceful and realaxing. The pond is a added bonus for fishing. I would like to inform future vacationers that the road going to the cabin is very narrow and step. We limited our driving to avoid the chaos. Just be careful. I also would recommend you bring your own pillows just for sanitary purposes and maybe a blanket or two. Overall we had a great time. And they do have a fire pit with wood." "The cabin was very clean. We had a wonderful time with our 2 boys who were fully occupied fishing and playing around pond. The location is great for short trips into Blowing Rock or West Jefferson. I would stay here again. The management company was great to work with as well." "We have stayed in cabins from GA to WV and this is by far the best cabin / location yet. If you want to fish the small lake behind the cabin is great for slipping away to wet your line (catch & release only). 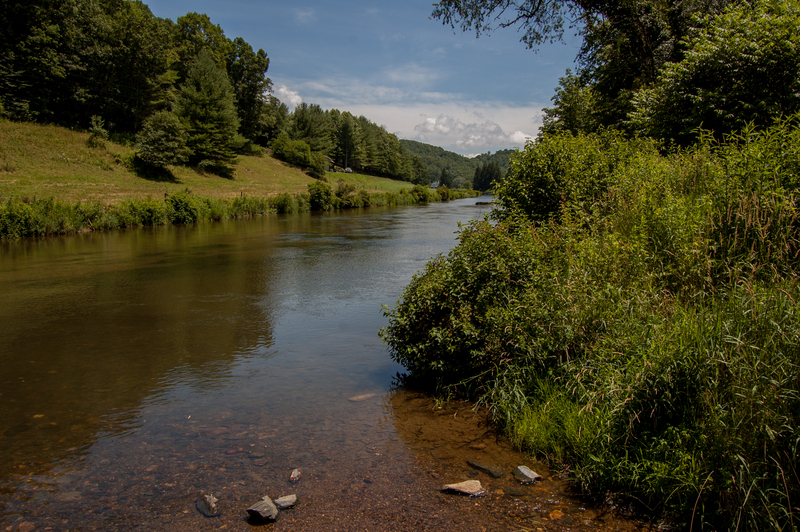 For more serious fishing the S Fork of the New River is only 3 or 4 minutes away. If you want to run...Boone, W Jefferson, Jefferson & Blowing Rock are within 30 minutes. We liked it so much we are planning to return in October." Thank you for your review. We are happy that you enjoyed your stay and glad that you are returning soon! "Our stay was a wonderful and refreshing summer get away! Cabin was clean and well equipped, with a great cabin atmosphere. 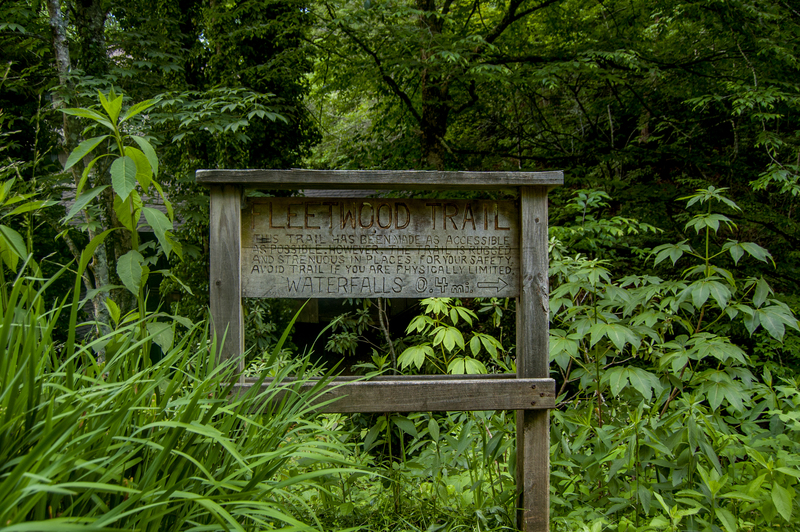 Would have like info on hiking trails in Fleetwood Falls. The lake was great for fishing once we found they like live bait! " "The Allendale is a great cabin for a weekend or a week or more. Once you are here, you do not want to leave and you will be back again. The view from the deck of the lake is incomparable to others we have stayed at. There is always plenty of wood for the fire pit and worms can easily be found for fishing if you have children or yourself enjoy finding your own bait! " "We love that cabin and have stayed there in the past. The bed in the master bedroom upstairs was missing a mattress pad over the egg crate under the fitted sheet. Also, somebody else's clothes were hanging in the master bath and closet. It would have been nice to have a screen on the upstairs balcony door so that we didn't have to use more AC." "We had a very enjoyable experience. Loved the surroundings and the lake behind the house. Also enjoyed walking along the river. Drove to West Jefferson and spent the day exploring while my husband went fishing nearby. Beautiful town!" "Beautiful home and setting. And as someone else said we were greeted by a friendly little dog. The home was exactly as described, well maintained and ready for our stay. Would definitely recommend it and would like to return there again. " "As a first time cabin camper, I was apprehensive about what I would find when I got to the cabin. In short, I found it was all there: kitchen hardware, coffee pot, heating, blankets, even those little bars of soap. Were it not located an hour from the interstate, I would have thought I was staying with all the amenities of a generic motel. Of course, there would have been no lake to fish in. And it was a log cabin that was cozy and in a forest that was quiet and just remote enough. We had a marvelous time." "The best place to relax and unwind. The entire family loves coming here. " "Everything was perfect - no problems. Really nice place. " "Allendale was the perfect cabin for a weekend escape. The cabin was clean. The kitchen had sufficient dishes, etc. The view was beautiful. The fireplace made the cold nights cozy! 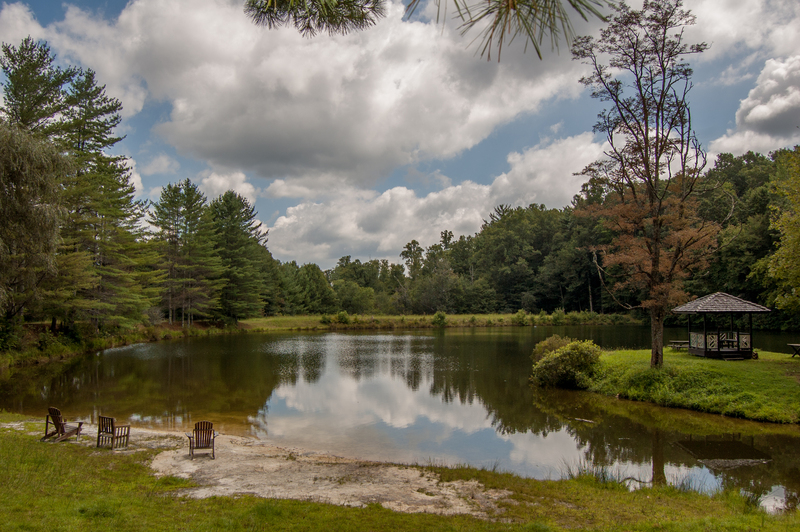 We definitely want to go back with the kids during warmer weather to take advantage of the pond behind the house and the fabulous yard - rare at a mountain cabin." "Great experience. Cabin was clean and comfortable. Only problem was was driveway was not plowed which they did the next morning after our arrival"
"I am one that likes to stay in different properties when on vacation, but this is the 2nd time we stayed at The Allendale. Cozy, clean and comfortable. Love everything about it. We will definitely return. " "We thoroughly enjoyed our stay in this well maintained cabin with our two adult children. My wife and daughter spent a lot of time on the deck reading and enjoying the beautiful surroundings. My son and I spent a lot of time fishing in the lake. there were a lot of local visitors at the lake over the weekend which was annoying at times, but other than that we loved it. " "The Allendale is exactly as advertised. Our family--2 adults 3 kids and 2 med/big dogs--plenty of room for all of us. The lake was cool and refreshing--yes, there were fish to be caught and released, too! The best part was the quiet. My boyfriend has PTSD and after this stay, he wanted to buy a home up here! The quiet is incomparable to any campground we have stayed in. There was also a little waterfall area about 2 min walk from the cabin---beautiful. If I could post pictures with this review, I would. 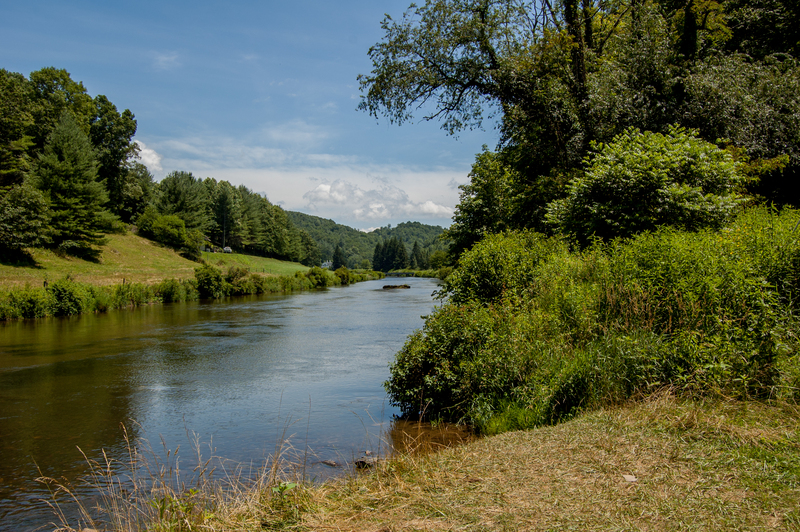 Just outside the neighborhood is the New River---great for enjoying a relaxing float or fishing. Very easy to get to and only 20min from Blowing Rock and Boone. Grocery store was about 15-20min away. We will be booking again, soon!" "My husband, 2 childrens, and parents stayed at Allendale. Wonderful wouldn't begin to describe our experience. The cabin was so quiet, beautiful view of the water, perfect location, etc. We slept wonderful on the soft mattress. after a 16 hour drive the cabin was a welcome sight and we were not disappointed. " "Upon arrival we was very exited of this nice and pretty house.There was few minor problems in the house but it was easy to fix. It was a great vacation!" "My husband and I spend 3 nights and it was just great.. the cabin had more than enough and was in great shape,, the weather was in the 60's at night and days around 80. The town of West Jefferson is a lovely place with such friendly folks,, planning on a trip back before the year is up. THIS IS A MUST CABIN AND TRIP,, LOVED IT ALL !!" "It was a great experience. Enjoyed everything inside and outside the cabin. The view was great and easy to find the address. The only challenge was the little roads with no space for more than one car at a time." "Very nice well maintained log cabin." "Overall, the cabin was clean and in good condition. The location was great, about 30 minutes from Boone. The neighborhood is great, nice friendly families as neighbors, and a cute dog visited us every day. The cabin inside was the perfect size for us four. Nice to have Wifi, but AT&T service was non-existent. It was so nice that the property sits lake front. It was too cold to make any use of it, but such a nice view each morning. The microwave was not cleaned and there was a load of towels that was not put away, several light bulbs that needed to be changed, and shrubs needed to be trimmed. But all of these were minor things. Property manager was extremely courteous. We are definitely coming back to this cabin! "This property is very nice and comfortable. Would not hesitate to rent it again. " "Great cabin, good location, near New River, West Jefferson, Blue Ridge Pkwy. Pond was great for fishing and sitting on beach. Only suggestion is to cover wood pile, damp firewood does not burn. " "An amazing place! The cabin was kept clean and cozy! We appreciate it and we will be back soon!" "We had a wonderful time. My husband and son went right outside in the backyard to fish. The cabin has a real homey feeling. I will rent this cabin again." "We had a great time. The cabin was as pictured. I thought the beds were very comfortable. I do think it would be very cramped if 6 adults stayed there. The master bath was small and I had some trouble adjusting to the low ceilings. The lake is for the entire community which we were not aware of when we booked the house. I really appreciate that the porch had a gate: it was safe for our toddler." "We had a wonderful weekend at Allendale Cabin. The accommodations were great, the scenery beautiful and our family had a fabulous time!" "The property and accommodations were marvelous! We had a fantastic time and would recommend Allendale and Ashe High Country Vacation Rentals to anyone. The only recommendation I would make to future renters would be to arrive at the property during daylight hours. It was very difficult to locate in the dark. " "Everything was clean and there was more in the way of supplies than I had expected, paper towels, trash bags etc. but I didn't realize it did not have A/C so I'm glad we were there in early spring. " "I would give Allendale a 5 on all points. It took us a little extra time to locate it, but the peace and quiet were worth it!" "i've always wanted to wake-up in the morning, to have my coffee in the woods, and I got my dream come true"
Wonderful - we love helping make those dreams come true! "We loved our stay at this cabin. It was impeccably clean, and had all the supplies we needed outside of toiletries and food (of course). We had a fire in the fireplace every night, and even a fire in the firepit outside. There was plenty of firewood for the fireplace, and they even had a huge pile of sticks and twigs for the fire pit! There was a beautiful view over the private pond, and everything was very comfortable. Hope to be back again before too long!" "need WiFi, larger water heater clean the windows facing the lake other than that we loved it"
"We had a wonderful Christmas vacation in this cabin. It was comfortable, in an amazing location, and spotless. Can't wait to return!" "The fireplace was wonderful and so was looking at the stars out of the large windows at night. It was very peaceful. I also liked that the roads were paved. " "Out family of 4 spent a week in this lovely cabin. It was perfect for us and our two young children. They enjoyed the lake out front and the rocking chairs on the deck. We will definitely stay there again. Very peaceful retreat. " "We had a wonderful stay. The cabin was great. We loved the pond, the fireplace, and the rocking chairs helped to create a very relaxing stay. We look forward to staying there again." " Enjoyed hiking to the falls. The nights were cool enough to build a fire in the fireplace. Loved the view. Beautiful log cabin"
"Property was difficult to find at first but, once we located it, the family had a wonderful time. 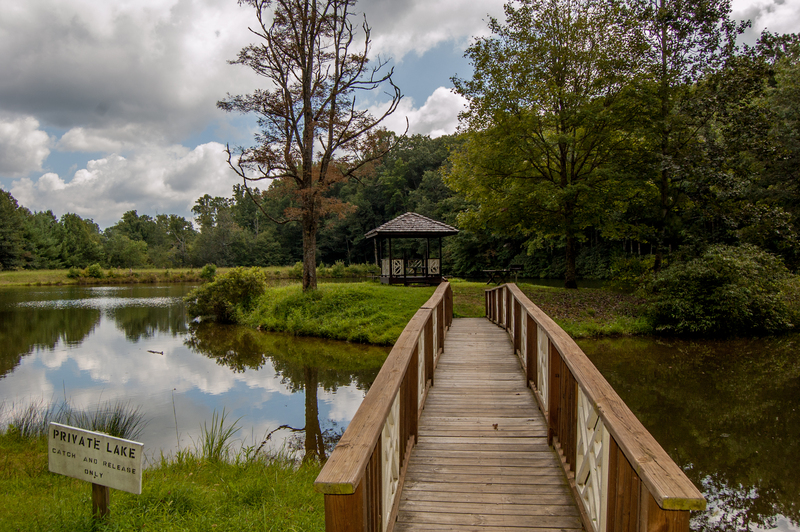 Even with all the rainy weather, beautiful property." "Best location on the mountain if you want lake access! The kids love the fishing!" "Really nice cabin, overlooking the little lake. It was a little smaller than we expected, but for our family of four it worked well! Wish there was a tv in the downstairs bedroom! Had a good time, and would recommend it to our friends!" "We thought this cabin was very beautiful and the accommodations were very good. Other than the weather, we have nothing negative to say about our stay at Allendale. We loved it." "Loved the cabin, the area and the quiet. Our stay rates as one of the best vacations we have ever had. We would stay here again as would my sister and her husband who shared the cabin with us. We were all very happy with our stay." 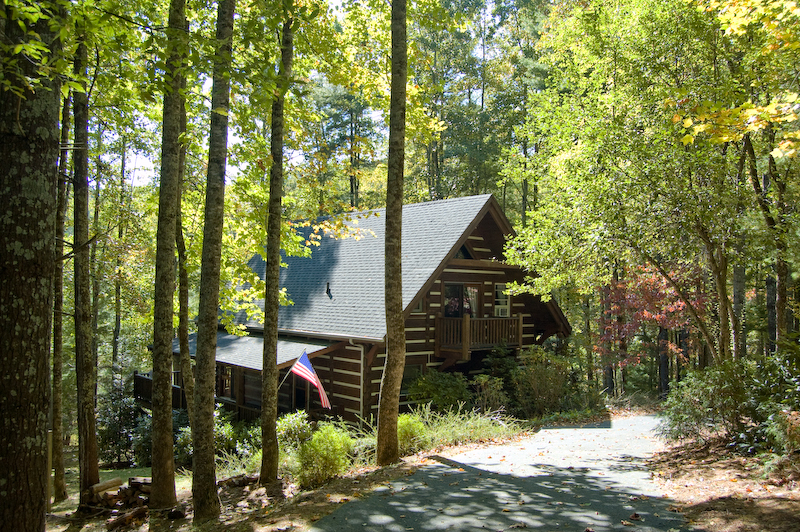 "We booked this cabin as a last minute rental (within 1 week). The rental company was very responsive and accommodating. The property was clean and included all of the basic amenities. We arrived in the sleet and snow and and were glad to have a 4-wheel drive. We will definitely stay here again. " "We had a nice 2 day stay at the Allendale in Fleetwood,NC. We were spending a delayed Christmas weekend with family. As an added "Bonus" about 8" of snow had fallen the night before,and we did have concerns about the roads getting to the Cabin. When we arrived on Saturday,the snow had been removed and the roads were in great shape,even though the Mountains looked like Winterland. Thank you for a great weekend!" "we loved the allendale in fleetwood. great home on the mountain with a fabulous view of the lake. we would definately return to the allendale." "Great house and location. Great for my family. " "The place is great!! Great location,great views,and great house." "We had a wonderful time here! Small lake is right outside the door. Kids were not bored. Also, a few minutes drive, Fleetwood Falls river access is a good place to fish. We brought our own canoe and it was fun canoeing on the river." "Place was perfect. The agent was great and helped with my last minute request. WOULD DEFINATELY USE THEM AGAIN!!!" "Sweet cabin with comfortable accommodations and beautiful view. Relaxation at it's best whether sitting on the rockers overlooking the water or being warmed by the charming wood burning fireplace." "Enjoyed the near by river and the nights by the outside fire pit." "My family and I had a wonderful visit to the mountains of NC this summer. The cabin we rented was awesome and we can't wait to stay there again soon."